Contemporary Indian: Hot on the trails of contemporary Indian concepts such as New Punjab Club and Chaiwala is Daarukhana, which presents a delightfully unconventional take on Indian cuisine. Look & Feel: Intimate and moody, the interiors boast a distinct art deco vibe with plenty of geometric gold accents and amber lighting. On the Menu: Daarukhana’s dishes originate from various regions around India, employing unusual ingredients and cooking techniques. 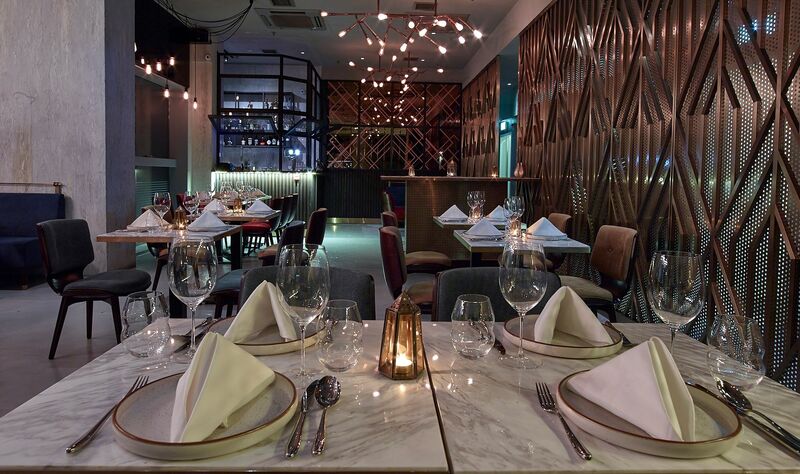 The menu is divvied up into appetizers, sharing plates, tandoor dishes, mains, breads, and desserts. The cocktail menu features drinks that are also inspired by India. The Palace on Wheels, for instance, blends Rajasthani chillies with honey and rum. Jeng: “Contemporary” cuisine can so often either end in an incoherent mess, blending ingredients and techniques that would have been better kept far apart, or in dishes that are simply uninspiring. We’re happy to report that there’s none of that at Daarukhana — almost every dish presents a surprising twist while remaining clearly rooted in Indian cuisine. 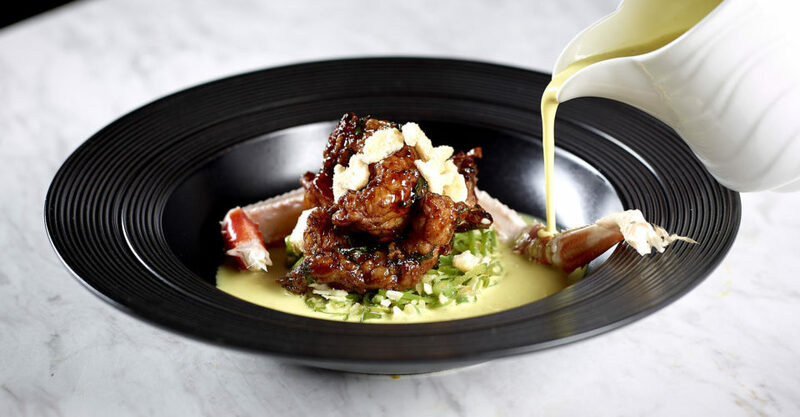 Try the garlic pepper crab, the sweet and sour baby pork ribs, or the langoustine moilee. Not so Jeng: The space is on the cosier side, so we can easily picture it getting cramped on busier nights. And while most of the dishes are hits, there are definitely a couple of misses in there, as well. We personally prefer classic palak paneer curry to Daarukhana’s palak paneer pinwheels. And the kulcha stuffed with potatoes, brie, and cranberries, while adventurous, is also a bit of an odd combination. Meet the Chef: Indian chef Valice Farancis was formerly chef de cuisine at Indian Accent, a renowned restaurant in New Delhi. Great For: Dinner and drinks away from the hubbub of Wan Chai’s main bar strip. FYI: Don’t fancy anything on the drinks menu? Simply ask the bartenders for a classic cocktail — or even a concoction of your own creation — and they’ll be happy to whip it up for you.